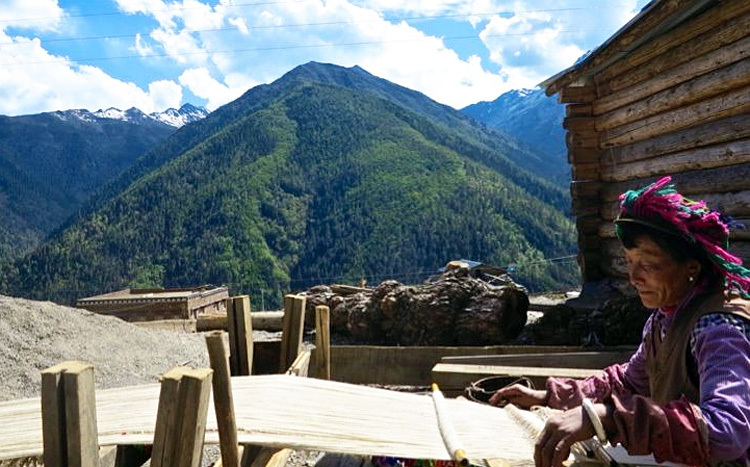 Tour Overview: China's southwest province Yunnan, literary "South to the clouds" in Chinese, is a place connect with exotic cultures and beautiful stories. Romantic Lijiang old town, the "Lost Horizon" Shangri-La, and the world deepest gorge "Tiger Leaping Gorge", the magnificent terraces, snowy mountains and ice glaciers .Yunnan is proud of its rich natural and cultural resources. 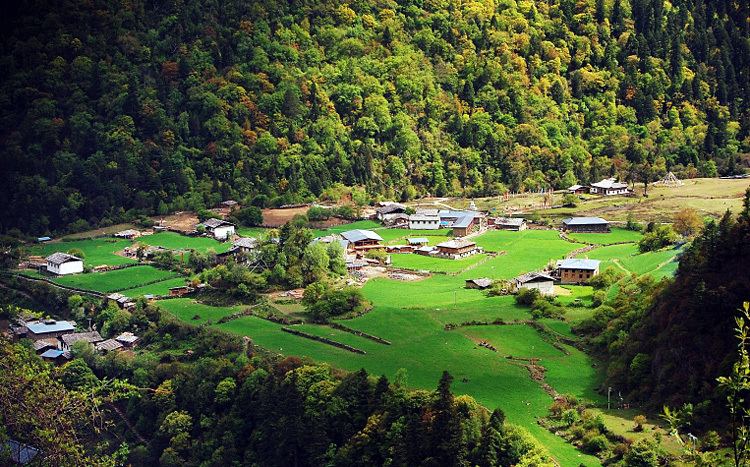 The most attractive of thing is the folklore and culture of the area's 25 ethnic minority groups. We don’t get to many chances to see so many different ethnic minority groups living harmoniously in one province. 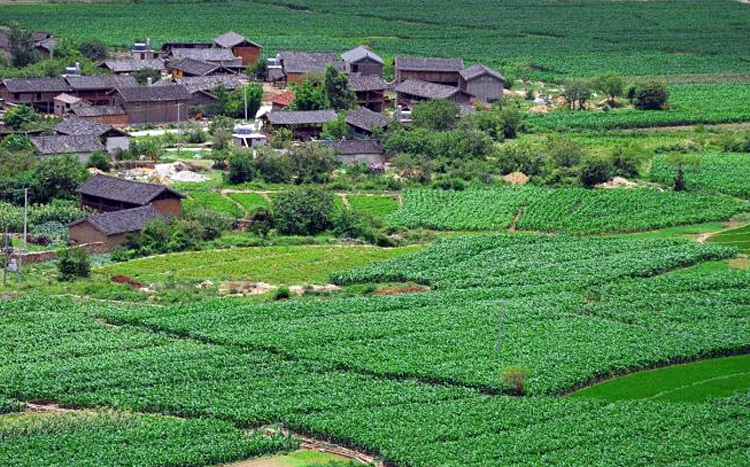 It is not easy to use words to describe people's life in Yunnan. DATES ---- The tour starts from August 2nd / Sep 20th / 1st Nov.2019 from 1 people! Closing Date for Entries Confirm final booking and full payment done needed at least 30 days ahead of the starting date. Please read the special explanation before booking. ---- This tour is a special sale of our company wishing to explore more remote scenic areas less visited. That’s why the price is lower. ---- The tour is guided but the guide and you will need to carry everything needed for this trip during the cycling, no supporting cars will be arranged. If we need the help by cars by any reason, we will pay extra separately/ together for it. 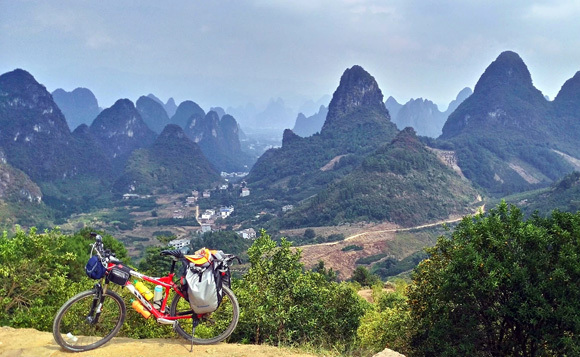 ---- This tour is not a formal product with everything 100% guaranteed, it is also our first time cycling that area, and it will be an adventure. It is quite possible that we will not book hotel ahead for some days as we are not sure how long you/we can cycle per day. What we can promise it to offer the same level or service as all other tours listing on our website. ---- We offer bikes for this trip, they are equipped with rear rack, they are of limited volume so please bring as less as you can for this cycling. 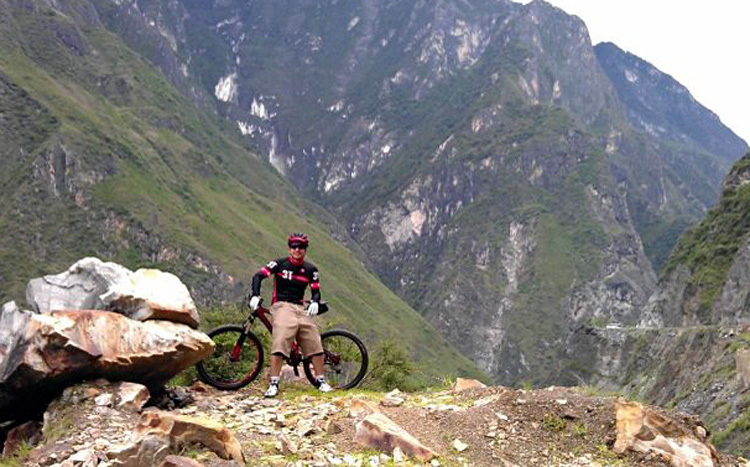 ---- The elevation during this tour is around 2000M-3200M, you are required to be familiar with long-distance cycling with mountain bike through mountain areas and we are facing lot of climbs. ---- We are not sure the latest road condition either, Yunnan is a high plateau with lot of rains, so it is possible that our cycling plans will be jammed if road is blocked by collapse. ---- We will use hotel price around USD20-30/ lower per night, this is not a fancy tour for leisure cyclists who only wants relax and coffee. ---- Meals are included every day but they are simple Chinese one. (Noodle breakfast, fast food lunch, better dinner). ---- Insurance is not included and we are not responsible for any lost on you for this trip (we will do best in suggesting according to the real situation). Day 1 Arrival of Lugu Lake. Elevation: 2600M. Our guide will waiting for you at the airport of Lugu Lake. You will need to book your flights from Kunming to Luguhu first before today. We will take the shuttle bus to Lugu lake.scenic spot. When passing through the residential areas of the minority group of Yi in the Jinsha River Valley, you can enjoy the exotic customs, here people usually dressed in national costumes with long cigarette holder in mouth. If you arrive very early , we can got some leisure time enjoy the sunset of the lake. You will definately need time to rest as it is quite a long way before arriving Lugu Lake. Day 2 Warming up cycle along the lake (B L D) Elevation: 2600M. 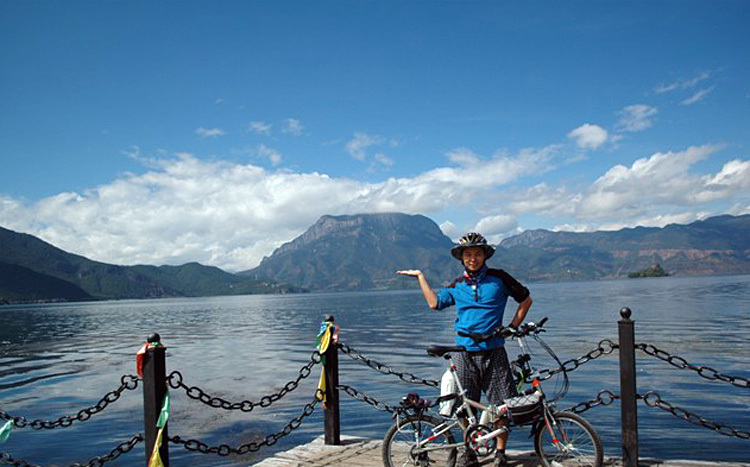 We will cycle around Lugu Lake to have a glimpse of this mysterious lake. The border between Yunnan and Sichuan Province runs through the middle of Lugu Lake. It is home to numerous minority groups and to talk in length about the fascinating features and history is too much for here. Suffice to say that it is tranquil and beautiful, a lovely spot for a wander, a bike ride, a coffee or a beer. Day 3 Lugu Lake cycle to Cuiyu Town 70KM (B L D) Elevation: 2200M. In this morning, say Bye-bye to Lugu Lake. 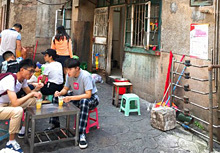 Then we passing through the residential areas of the minority group of Yi in a small basin, you can enjoy the exotic customs, here people usually dressed in traditional costumes with long cigarette holder in mouth. 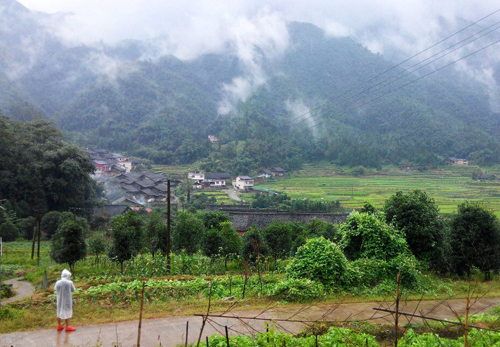 Today, we are cycling in the Jinsha River Valley to enjoy the charming landscape of the river. At night, stay in a small hotel / local family and spend the night huddled around fires with the local people. Day 5 Mingying to Lijiang 76KM (B L D) Elevation: 2400M. After finishing the long uphill, we will see the picturesque Jade Dragon Snow Mountain.From here, we going to enjoy our downhill until to Lijiang to have a look at Lion Hill and stroll around the noted Lijiang Ancient Town. Before Lijiang,we go to visit Baisha Village to view the Baisha Mural Paintings which is derived from various religious cultures, including Buddhism, Lamaism, Daoism and the Naxi Dongba religion. 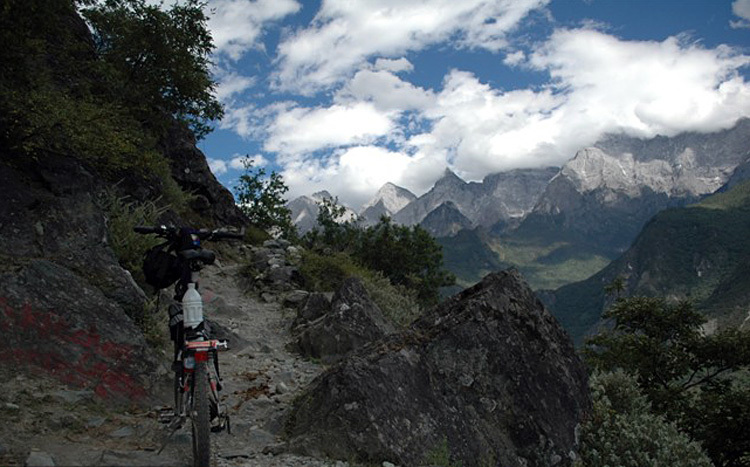 Then we will bike into the ancient town of Lijiang to visit the Black Dragon Pool Park, where you can see the Jade Dragon Snow Mountain from afar. If we still got some more time, move towards the Museum of NaxiDongba Culture to admire the exhibitions of Naxi culture and dress, Dongba script, information on Lijiang's old town. Day 6 Lijiang to Tiger Leaping Gorge Town 78KM (B L D) Elevation: 2000M. 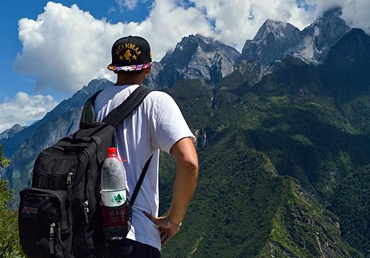 After Lijiang, head to Tiger Leaping Gorge, one of the most famous hiking route in the world is waiting for us! On the way, you will see a beautiful picture of the terraced fields, snow-capped mountains and villages which is a good place to take photos.Today's cycle is easy as we are heading downhill in general, after a short climb leaving Lijiang Ancient Town, we are rewarded with a super cool long downhill to Qiaotou village, where the Tiger Leaping Gorge locates. Day 7 Tiger Leaping Gorge Hiking 12KM (B L D) Elevation: 2200M. 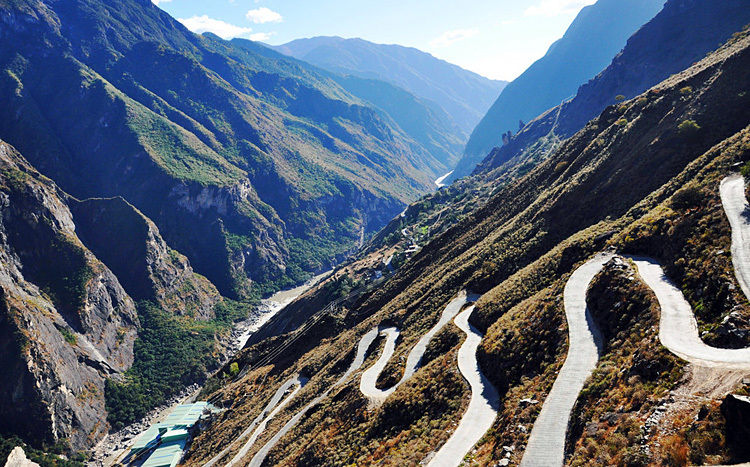 Tiger Leaping Gorge, which is known as the deepest and one of the most marvelous gorges on the earth. The trail exceptionally well maintained, and it’s home to some of the most naturally stunning and diverse landscapes in the region. The trail carries you high on the northern side of the gorge, bringing you through hamlets, forests, terraced farmland, waterfalls and rocky cliff sides. Turns up you head you will see the snowcapped Jade Dragon and Haba Mountains, and under our feet the Yangtze River rages through the gorge. Day 8 Tiger Leaping Gorge Hiking and Driver to Shangri-La 105KM (B L D) Elevation: 3000M. After breakfast, we will cycle around at the Pudacuo National Park and appreciate the good scenery of Shudu Lake, one of the largest plateau lakes in Shangri-la. Move on to Bita Lake, about 20km southeast of Shudu Lake, surrounded by mountains with clean water and rich fish resources. After lunch, continue to Songzanlin Monastery to see the so-called "the Small Potala Palace" or "Tibetan Art Museum", a collection of Tibetan plastic art and the highest institution of local theocratic system. Our service ends after you fly from Shangri-La to your next tour destinations or home. Ticket fee for Lugu lake,Tiger Leaping gorge during our tour. Note: Please note that obtaining your own travel insurance is required in order to participate on this biking tour. It will need to include a minimum coverage of medical expenses with emergency evacuation, personal liability and accident insurance. Our biking leader will need to see a copy of your insurance at the group meeting on the first day. We reserve the right to refuse you if you do not carry such an insurance policy.